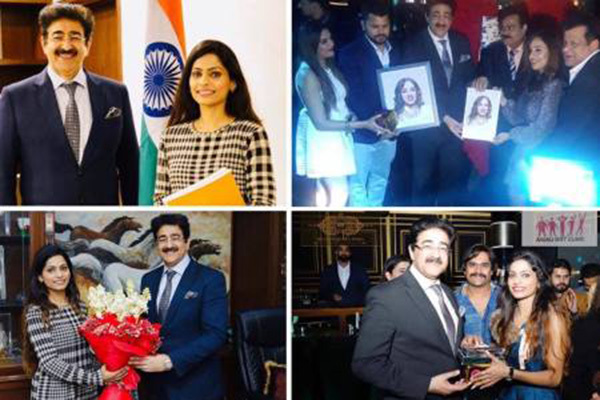 Noida: “The Indian customer has become quite conscious about the quality product, a colorful and pleasing environment and healthy and tasteful food when it comes to hospitality and cuisine in Indian restaurants and hotels,” said Dr. Sandeep Marwah President of Marwah Studios and AAFT School of Hospitality and Tourism at the opening of new restaurant in Noida. After the stupendous success of “The Flying Dutchman” in Indirapuram Habitat Centre, Futomic brings a Mega version of the project in Logix City Centre Mall also owned by AAFTian Srishti Kaur Miss Teen Universe 2017. “I wish the presenters a very successful venture and a very heavy customers traffic so that more restaurants of this quality can be added to Delhi NCR. The Super Ambience And Quality Food Is Forever ” added Marwah. Copyright © 2017 AAFT. All Rights Reserved.